About The "Intestinal Activity Sweet Sake"
We added four types of dairy-type lactic acid bacteria taken from Japanese traditional fermented foods such as rice koji and miso to this sweet sake (amazake) that produced from organic rice. The lactic acid bacteria power is added to the nutrition of the sweet sake. This lactic acid bacteria can strongly support the "intestinal activity" in our body. It has the unique sweetness of sweet sake, and a slightly refreshing and sour taste of lactic acid bacteria. We don't use sugar for this product. 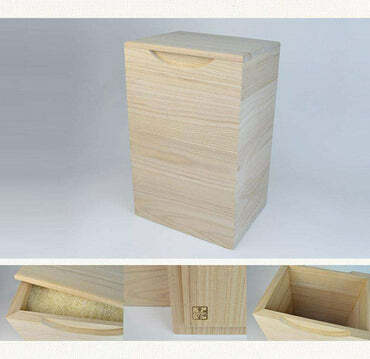 Therefore you can enjou the natural sweetness from the rice koji. Since alcohol is not included, it is possible to drink for children and pregnant women. You can drink it as it is without diluting it first because it is a straight-type sweet sake. 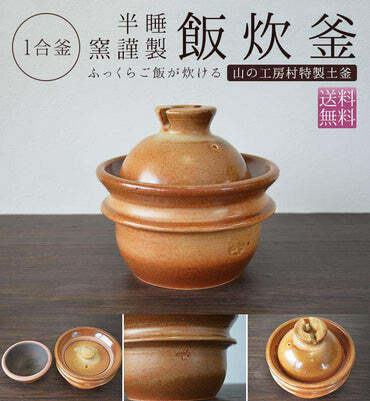 It is a sweet sake with cap that can be used easily. The Dairy-type Lactic Acid Bacteria Contained in "Intestinal Activity Sweet Sake"
Intestinal activity sweet sake contains lactic acid bacteria taken from ancient Japanese fermented foods such as rice koji (rice malt), rice bran, miso, and pickles besides nutritional ingredients unique to sweet sake. There are 500 billion lactic acid bacteria per 100 g of sweet sake! The lactic acid bacteria could reaches the intestine and it prepares the intestinal environment. Rice koji contains a lot of enzymes such as α - amylase (1000 U/g or more), glucoamylase (200 U/g or more), and acid protease (3000 U / g or more) that helps decompose and digest food and produces oligosaccharides, etc. It can prepare the intestinal environment (intestinal flora), and it can expect the effect of improving immunity. Rice bran contains several kinds of amino acids including GABA, and it is expected to have effects such as lowering blood pressure effect, relaxing effect, and improve glucose metabolism etc. There are research results that miso boasts abundant bacteria count even in small amount and has the effect of suppressing weight gain due to faty diet. Pickles is characterized by its strength to reach the intestine when it is still fresh. So it not only perform the intestinal action, but also give improvement to immunity and allergy. Sweet sake is rich in nutrition which can be said as a infusion drink. We will introduce its health effects of sweet sake. The Health Effects of Sweet Sake 1　Fatigue Recovery Because it has The Same Ingredients as The Drip from The Hospital. As "Aspergillus" (Koji-kin) contained in sweet sake has a function to help digestion and absorption of nutrition, it can efficiently absorb nutrients and convert it into energy. The ingredient that enzyme can decompose from rice is the same ingredient as a drip. It can decompose ingredients such as glucose, vitamin B group, minerals, amino acids, etc. and it is a perfect drink for fatigue recovery. Since "Aspergillus" (Koji-kin) becomes a feed of good bacteria, it also has the effect to activating immune activity and enhancing immunity. According to The Ministry of Health, Labor and Welfare, drinks containing 40 to 80 mg of sodium per 100 ml are suitable for preventing heat stroke. The sodium contained in sweet sake is about 60 mg / 100 ml. Therefore sweet sake which contains well-balanced moisture and salinity, can be considered a drink suitable for heat stroke prevention. 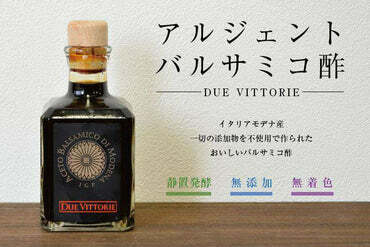 It also prevents summer fatigue due to fatigue recovery effect, so it is a perfect drink for spending summer well. The sweet sake contains well-balanced dietary fiber and oligosaccharide, which reducing the bad bacteria in the intestines, increasing the number of good bacteria, and adjusting the intestinal environment. It helps prevention and resolution of constipation. Sweet sake, which is rich in vitamin B group, also has the effect of accelerating blood circulation and metabolism. As the blood circulation improves, waste products in the body become easier to discharge. The biotin contained in "Aspergillus" (Koji-kin) is also excellent for rough skin, dullness of the skin and so forth. Furthermore, it is said that the enzyme of "Aspergillus" (Koji-kin) has an antioxidant effect that could act as anti-aging. Sweet sake contain much of glucose. This glucose has the effect of raising the blood sugar level, so you can feel full after drinking sweet sake. By drinking before meals or by replacing it for breakfast, you can incorporate abundant nutrients into the body while keep feeling full. Even if you reduce the amount of the meal you take and consume the sweet sake with the nutrients contained, it is expected to be a relative safe diet. As we mentioned earlier, sweet sake contains vitamin B group and biotin for outstanding beauty effect. These nutrients accelerate the formation of collagen and work on rough skin, dark circles in your eyes, stain and dullness. Therefore it can bring you to beauty skin. The koji contained in sweet sake has the effect of suppressing the enzymes producing melanin, and it also prevents freckles and blemishes. The GABA ingredients contained in fermented brown rice has the effect of relieving stress from daily life. Since sweet sake also contains antioxidants called "ferulic acid", it accelerate metabolism of the cells and prevents aging of the skin. You can get anti-aging effect by just drinking the sweet sake (amazake). As sweet sake also contains dietary fiber and oligosaccharide, it improves the function of the intestines. Just by solving the constipation problem, you can get the diet and beautiful skin effect too. The Difference of "Sweet Sake from Rice and Koji"
and "Sweet Sake from Sake Cake"
A sweet sake that can be drunk by pregnant women and children: "Rice and Koji Sweet Sake"
It is sweet sake made by steaming rice with Aspergillus (Koji-kin) to rice koji and utilizing the fermentation action of the enzyme. With no sugar added, we can easily drink it because of only the gentle sweetness of the rice that is left at the sweet sake. It also has a low calorie. You can expect the beauty and health benefits from this sweet sake (amazake). A sweet sake with a little amount of alcohol: "Sake Cake Sweet Sake"
It is a sweet sake made by dissolving sugar with sake cake from the fermentation process of rice koji with alcohol. Because it contains alcohol and sugar, it may not be suitable for people who are not good with alcohol or for people with diet purposes. but there are various ways of eating and usage. This sweet sake has the sweetness from natural rice that does not use any sugar, therefore it can be applied to bread as jam or can be used as sweetener when making sweets. It is very delicious to freeze it and eat it as a sorbet. We often eat ice in the hot summer, and it will make us worry if we take too much sugar. Sweet sake doesn't contain sugar at all so you can eat it without worry. It is the same as drinking rice, so full of nutrition. It also helps you to avoid having a summer fatigue. When you lose an appetite, it could be good to drink sweet sake with ginger sometimes for the replacement of rice porridge. Constipation is a lot of trouble during pregnancy. Drinking medicine to relieve constipation is not good for pregnant women, so a lot of them are suffering for this trouble. Changes in hormonal balance when pregnant affects the intestinal environment as well. "Intestinal Activity Sweet Sake" is a sweet alcohol made from rice containing dietary fiber and oligosaccharide, so you can easily ingest dietary fiber and minerals. Besides, it contains 500 billion dairy-type lactic acid bacteria in every 100 g to support the function of the bowel. When warming and drinking the sweet sake, you can further warm your body with adding a ginger juice. So if you want to absorb nutrients effectively, try with ginger juice as well. For those who want to effectively consume the nutrients of sweet sake, it is recommended to drink it in the morning time. Morning time is also the time to store energy that is necessary for doing the whole day's activities. Sweet sake contains abundant nutrients that become "energy" to use your head and move your body. why not try drinking a glass of sweet sake (amazake) instead of breakfast for health management? Which is better: warm? or cool? Even though the nutrients of sweet sake are nearly unchanged whether it is warm or cool, you can get some merit from drinking the warm sweet sake because it could warm up your body. By warming your body, you can reduce the energy you consume to generate heat in the body. By doing so, energy can be consumed for other work, and the nutrients of sweet alcohol are also effectively absorbed. · Since we use fermented foods and lactic acid bacteria as raw materials, there is some sour taste, but there is no problem with quality of the product. ·Please consume immediately after opening.